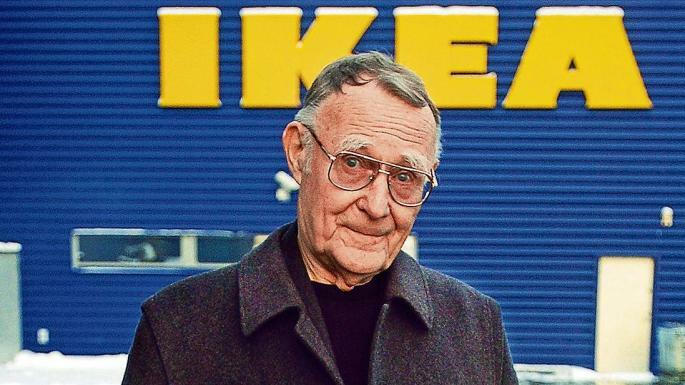 Ingvar Kamprad, the founder of IKEA, has died aged 91. He was one of the most successful business people of all time. At various times his fortune was estimated between $4billion and $47billion. In 2004 he was reported to be the richest man in the world. IKEA started selling cheap furniture in 1948. Their flat pack design was launched in 1956. The first IKEA ‘warehouse store’ opened in 1958. Their first store in the USA opened in 1985 and in the UK in 1987. IKEA is quoted in many books and lectures on Strategy. Perhaps the first (and certainly amongst the most rigorous) analysis was Michael Porter’s description in the Harvard Business Review article ‘What is Strategy?’ first published in 1996. Many businesses manage to create a competitive advantage (as indeed Habitat did with attractively designed flat pack furniture). It is much more difficult to do so in a way that competitors cannot copy. IKEA did that as Porter describes. IKEA’S global sales are over $30 billion. The cost of designing each new range of furniture is a fixed cost; it does not increase as more volumes are sold. With high sales of each new range, the design cost per unit for IKEA will be significantly lower than for a much smaller competitor. IKEA has been following the same business model for decades. During this time they have learned how to do this efficiently. A new entrant will not have the benefit of this experience. Having created a competitive advantage Kamprad did not make the mistake that many businesses make ie chasing growth by moving into other (often related) areas of business and making themselves more like the competition. How did Kamprad resist the temptation? I suppose $47billion dollars is enough.